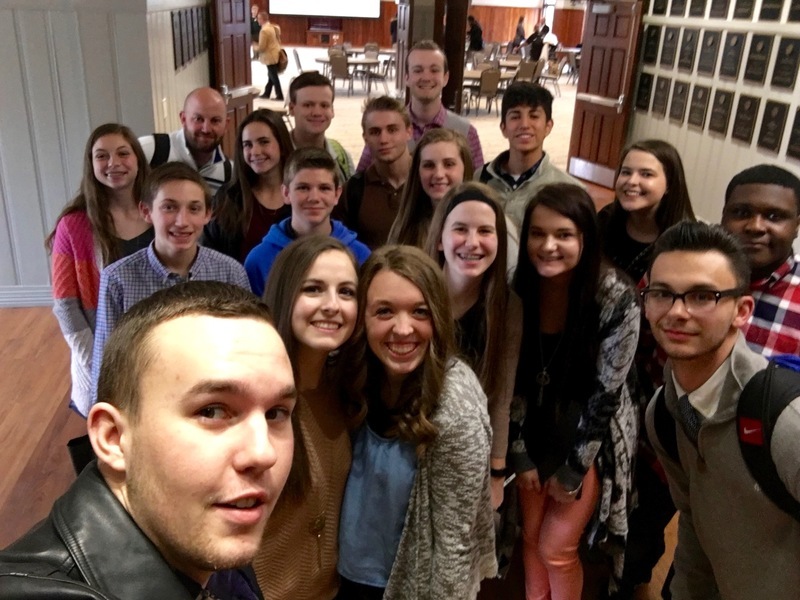 A group of Sheridan underclassmen -- Braci Bowlin, Alaina Allen, Javier Gonzalez, Reid Roark, Laura Workman and Emery Talbert -- earned first place in the High School Startup Day entrepreneurship competition held at the UCA School of Business on March 16. For winning first place, the team received a UCA scholarship of $1200 and a professional photo package to help brand their social media platform. The event was organized by Noble Impact, a non-profit education initiative that exposes students to relevant experiences and tools that enable them to navigate today’s world with an entrepreneurial skillset and a public service mindset. Junior Achievement, Startup Junkie of Conway, and The Conductor also sponsored the event. In total, eighteen students from Sheridan School District (shown below) participated in the High School Startup Day event. They learned entrepreneurial approaches for addressing relevant issues, solving problems and pitching innovative ideas. Students also benefited from interacting with and learning from local entrepreneurs who served as their mentors throughout the competition. According to Kinser, this method is taken from a model often used to help entrepreneurs identify problems and entice venture capitalists to invest in their startup ideas. Kinser’s winning team tackled public school funding issues, pitching to the audience that "public schools are not given enough funding to offer a well-rounded education to all students." They also introduced the hashtag, #education4thefuture, to continue the conversation with others on social media platforms and closed their presentation with, "The education you get leads to the future you are allowed." Beginning next fall, Kinser will be teaching a Noble Impact course at Sheridan High School. The course will provide students the opportunity to develop their entrepreneurial skills and discover new ways to contribute to society. Students interested in taking the Noble Impact class should contact Kinser or their school counselor.